More drama shocked the Chicago Cubs organization on Monday, as leaked emails from chairman ​Joe Ricketts revealed a pattern of racist views and behavior. In a sport which preaches tolerance, this is a huge PR hit and more-so a major concern moving forward. 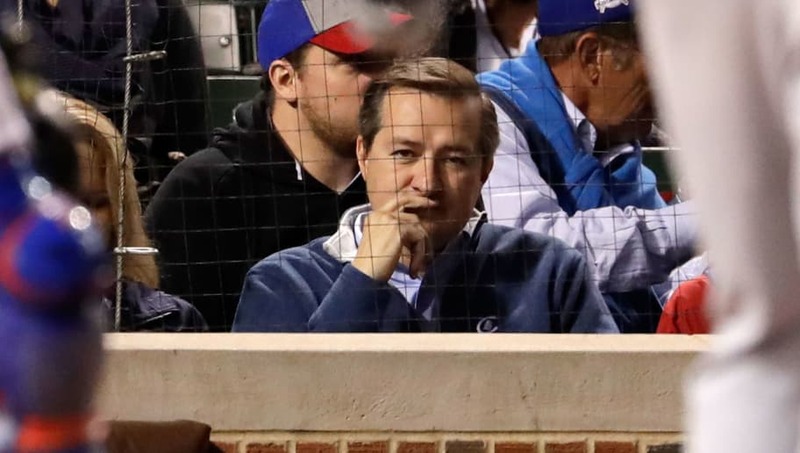 When reached for comment as to the vulgarity of his father's emails, Tom Ricketts' response was direct and to the point, but perhaps not enough for some fans in Chicago's North Side. "We are aware of the racially insensitive emails in my father's account that were published by an online media outlet. Let me be clear: the language and views expressed in those emails have no place in our society," Tom Ricketts said through a spokesman. Joe Ricketts is the founder of TD Ameritrade and it was his financial output which led to the family purchasing the Cubs in the first place, which makes this next statement curious to say the least. "My father is not involved in the operation of the Chicago Cubs in any way," Tom Ricketts continued. This is an obvious distancing tactic, but not nearly enough. Simply saying Joe Ricketts doesn't have an impact on the Cubs on-field product while frequently reaching into his wallet is hypocritical, to say the least. As for Joe, he responded thusly. "I deeply regret and apologize for some of the exchanges I had in my emails. Sometimes I received emails I should have condemned. Other times I've said things that don't respect my value system. I strongly believe that bigoted ideas are wrong." In a stunning turn of events for the Ricketts family--clear and unabashed ​Trump donors--their emails came back to bite them.